Hola! Trends, trends and more trends are hitting the scene this fall season. 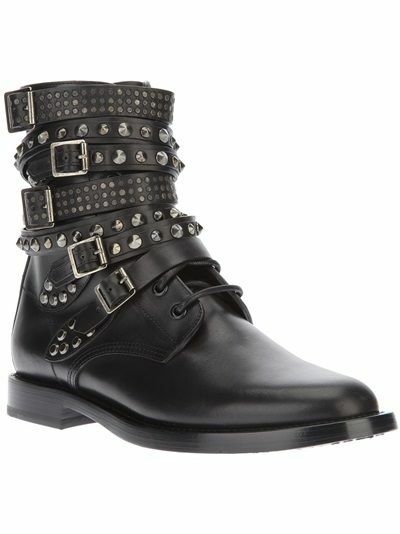 However a big one is moto boots, especially a pair that is embellished with studs, spikes, zippers and more! They are on my W2W (What 2 Wear) list because they are a comfy and will keep you stylish while running errands, shopping, or for an evening out to dinner. 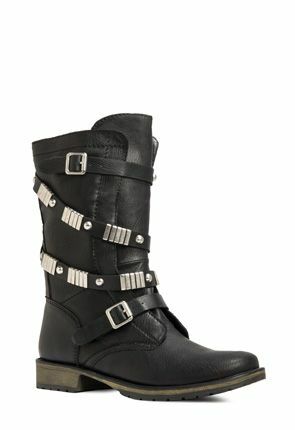 Here are two pairs that I absolutely adore; the first is in a high price range and the second is a low more affordable range. Click on the pics to buy. Kourtney Kardashian is one celeb that knows how to rock a mean moto boot. Take a peek at the pics below—hotness! Have you jumped on the trend, is so what brand is your fave? Do tell!